*Parental Guidance is suggested for any and all movies. 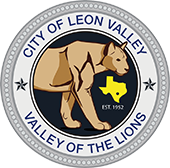 The films shown do have ratings in which the City of Leon Valley suggests Parents be aware of before and during the movie. These are free events open to the public and are subject to one's own judgment. These films do not reflect the views or opinions of the City of Leon Valley. If you have questions about a movie and it's ratings, please call the Special Events Coordinator below.